Guide your conversations with leaders about their employees’ re-engagement and connection to their work and the organization. Subscribe to Upward HR’s occasional newsletter for instant access. Mergers and acquisitions are complicated business transactions. 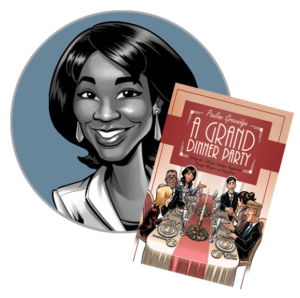 A Grand Dinner Party is a metaphor to create the employee engagement that underpins and drives corporate alignment and sustainable business. © 2019 Pauline Greenidge Consulting | Fetching Finn Inc.